The Trump-NRA war on the media escalates in Montana. Where will it end? Many journalists risk their lives every day — in war zones, hostile nations, and dangerous environments. But now they must fear for their safety among those they are supposed to inform — or interview. Last night, on the eve of a special election, Montana congressional candidate Greg Gianforte was approached by Ben Jacobs, a reporter from The Guardian. Jacobs asked Gianforte about his response to the recent Congressional Budget Office (CBO) score on the Republican healthcare replacement bill. Gianforte declined to respond. And then, within seconds, the exchange became violent. 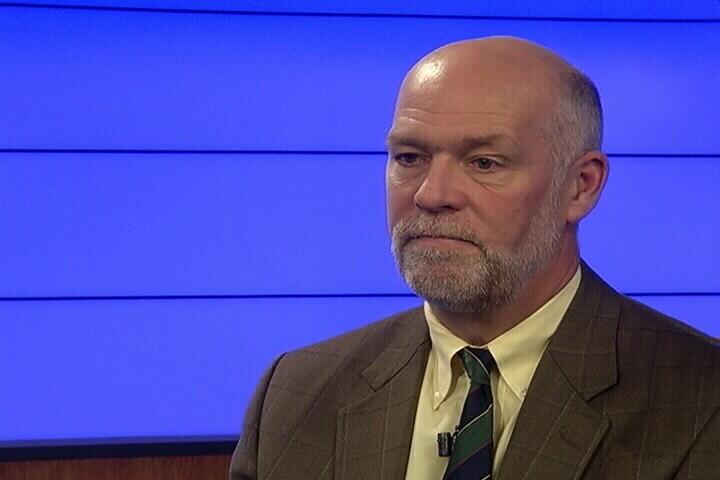 According to multiple witnesses and an audio recording of the altercation, Gianforte allegedly grabbed the reporter by the throat and slammed him to the ground, yelling, “I’m sick and tired of you guys, get the hell out of here!” Jacobs was taken to a hospital. Greg Gianforte (photo courtesy of KTVQ-TV). The incident quickly made headlines. Gianforte was charged with assault, and newspapers began dropping their endorsements of the Republican candidate — just as Montanans prepared to head to the polls. While the clash was shocking, it was not a one-off political event. It was not an isolated, impulsive act. It illustrates something far more insidious: the growing acceptability of violence as a response to dissenters and members of the media — specifically within the Republican Party. And the violence can be traced to President Donald Trump and the National Rifle Association (NRA). Since the beginning of his campaign, Trump has done two things reliably: incite violence and rail against the “dishonest media.” Often, he does both — and as his self-proclaimed “strongest ally,” the NRA supports and funds his threatening behavior. At a campaign stop in Miami, then-candidate Trump made an indirect threat towards MSNBC correspondent Katy Tur, directing the rabid crowd at her and singling her out as the enemy. He called for violence against protestors at his rallies. He called the media “the enemy of the people.” His first campaign manager, Corey Lewandowski, physically manhandled a female journalist. He insinuated “Second Amendment people” could assassinate Hillary Clinton — a suggestion the NRA did not denounce. Like Trump, NRA CEO and Executive Vice President Wayne LaPierre has demonized and used violent rhetoric towards anti-Trump activists and the media. In his two major speeches since Trump’s inauguration, LaPierre has repeatedly characterized the current political climate as a war between Trump’s dissenters and his heavily armed supporters. In his speech at the Conservative Political Action Conference (CPAC), LaPierre said, “We stand ready and resolved to defend our freedom and secure our safety against any enemy.” Months later, at the NRA’s annual convention, he identified this enemy: academic, political, and media “elites” — our scholars, representatives, and journalists. Complaints about the press are nothing new. But what used to be innocuous gripes have devolved into violence and threats of violence. We saw the Trump-and-NRA-sanctioned violent contempt for the media as a Roll Call reporter was physically escorted out of a public hearing for asking questions. We saw it as the mayor of Tampa laughed and pointed a machine gun at reporters. And last night, we saw it in Montana as a candidate for office allegedly “body slammed” a persistent reporter and broke his glasses. Thanks to Trump and the NRA, pundits are now debating whether a “choke slam” is an acceptable response to a reporter’s question. Physical violence towards a journalist is now a partisan issue. If Gianforte wins tonight, it will reaffirm a dangerous precedent. Despite what the NRA says, freedom of the press is our country’s first freedom. An assault on the media is an assault on our country’s core values. Republicans cannot look the other way while the NRA and Trump attack our Constitution. Gun violence prevention organization founded in 1974. Seeking common sense solutions for ending gun violence.